I feel very fortunate that I have a job that I am passionate about and still enjoy after over 20 years. The journey for a new patient with an unhealthy mouth, to someone who is a friend with a well maintained and healthy mouth and smile, brings me great satisfaction. Dentistry is a profession that you have to be totally committed to and that is what I have done throughout my career. I qualified from the University of Sheffield in 1993. I then worked for three years as a senior house officer in Maxillofacial Surgery in Sheffield and Preston. 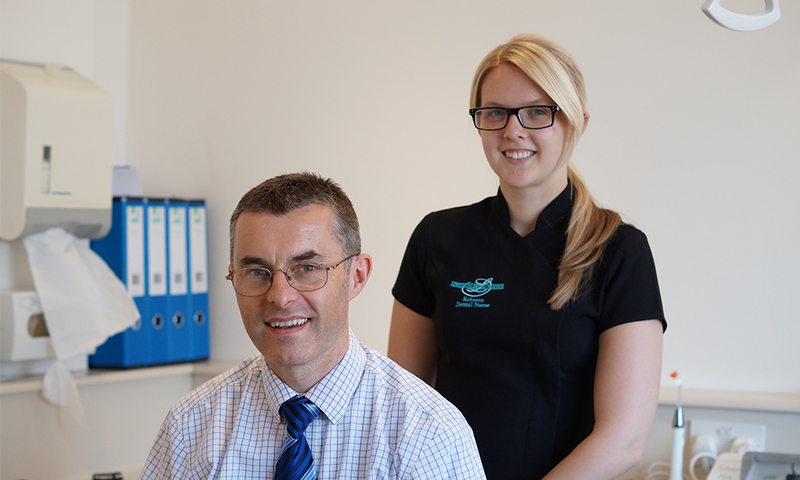 I have since worked in dental practices on the Wirral and Southport, before moving to Leyland in 2009. Since qualification I passed the examinations to become a member of the Faculty of Dental Surgery and the Faculty of General Dental Practice. In 2011, I completed a multisystem implant course and in 2014, after three years of study, I gained a Masters Degree in Dental Implantology (the best qualification available in the UK) with distinction. I have also completed a sinus grafting and bone augmentation course at the Royal College of Surgeons of England. My life out of work is just as busy. I am married with three children, Millie, Finley and Oliver. In the little spare time I have I am a keen runner, still manage to play football and have been a season ticket holder at Liverpool for over 20 years. If you add to that my passions for gardening, travel and good food you can see I have a very full life.